In all of my travels, I can count on my fingers (in one hand only!) the number of times that I have discovered an accommodation that truly holds a rich character and personality. Today, I am happy to share with you one of those places: Zambawood in Zambales! A sprawling ranch estate that has been used as a backdrop for movies in the past years, Zambawood is a 26-hectare private gated compound turned mystical beach resort that is surrounded by lush natural landscapes — grand views of the ocean to the west, and high mountains to the east. Owned and run by the Harrison’s, the overall ambiance of the property exudes elements from different parts of the globe, and this is mainly due to the couple’s numerous travels around the world. Ms. Rachel Harrison is actually the one who primarily runs the estate of which his second son, Julyan, with special needs currently resides. One of my sons has autism. His name is Julyan. He finds it hard to express himself and he could be violent when he has tantrums. It has been tough for all of us and there were times that I couldn’t stop crying. But I was not one to give up so easily. This was my son, and I love him and I wanted to help him out. For years I was constantly searching for ways, but of course, it wasn’t easy — it proved to be very difficult… until we arrived here in our home in the Philippines. I didn’t know that our Zambales property, that was so close to nature, could be so calming for Julyan. It seems like children who have special needs find comfort in routine and one of the activities that my son loved to do was farming. It soothed him a lot! It was a joy to finally see my son happy and at ease. With such progress, we decided to improve this place and make it into a suitable home that he will be comfortable in. He is now 22. Though this is Julyan’s home, we aim to share this ‘resort’ to the public too, most especially to families who have special kids as well. Ms. Rachel and her husband have sincerely designed a life that suited Julyan. At first, the whole of the Harrison family were only visiting Zambales for vacation trips, but after seeing how Zambawood proved to be such a relaxing place for Julyan, they have converted it into his home. (He is now living in that property with some of their helpers and enjoying life as a farmer! Since most of the Harrison family is living in Singapore, they regularly go to Zambawood once a month to visit Julyan). However, over the years, Ms. Rachel aspired to share this tranquility with others so she slowly developed the estate into a magical place that can be experienced by anyone (especially those with special children). The Main Beach House This is a modern 500 sqm luxury beach house that includes ample features and rooms for everyone! Superb service – your stay will include housekeeping, helpers, and a personal chef! Games and entertainment – right next to the living room, there is a gaming room with a big widescreen TV, a BlueRay/DVD player, a Nintendo Wii, a pool table, a table tennis table, and a wide range of movie choices. The whole house is also equipped with indoor + outdoor speakers and high speed wireless internet. If you want to use a computer, there is also a unit available for your use and you can even print stuff (which is available by request). Fully-equipped kitchen – which you are free to use. It has a gas hob, electronic oven, microwave oven, fridge, coffee machine, and even a gas BBQ (which you can put out on the deck). Outdoor deck with dining area – apart from the indoor dining room, there is also an outdoor balcony terrace where you can eat your meals in… poolside! In this section, you will see an inviting white hammock which is already around 40 years old and purchased from Venezuela. Trip to Julyan’s Pine Beach Farm – as I’ve discussed, Julyan spends most of his days farming and if it’s your interest or if your kids would want an activity for this, you are absolutely free to visit this area! (All the natural produce used by Chef Martin are taken from this farm). If you ever see Julyan around, feel free to say hi! Massage – the estate has a separate lanai or lounging area wherein you can relax or have your massage in. Beach Trip – an easy walk away from Zambawood is the beach of La Paz which is one of the best beaches in Zambales to go surfing in! (Upon request, you can take a boogie board or rent a surf board; you can even take private lessons if you want to). The main Beach House has 4 bedrooms with their own bath + shower and air conditioning. (This includes 2 master bedrooms and a 5th room is also available upon request). 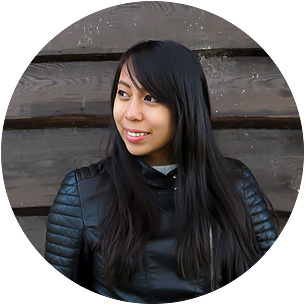 Ms. Rachel is an architect by training and a true-blue designer, so all the things that you will be seeing in Zambawood’s beach house have all came to life due to her vision. Chef Martin Bakunawa, Ms. Rachel’s Nephew, was there to look after our meals during our stay. Zambawood works with various chefs upon request, depending on their availability and it is possible to specifically request for one with an additional fee. 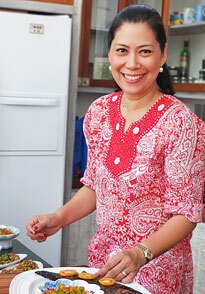 Otherwise, their in-house cook is brilliant with home cooked regional cuisines! Nevertheless, every meal that we had was an ‘adventure’ of its own and I guarantee that you will love it! On our last night, they have even prepared a gorgeous set-up in the garden. It certainly melted my heart and we really felt spoiled through and through! After dinner, they also lit up a bonfire and we all exchanged stories while enjoying our s’mores. Disclaimer: This was a sponsored trip that was made possible by Zambawood in partnership with When in Manila. But as always, all thoughts that are expressed in this article are fully my own. I would like to give my special thanks to Ms. Rachel and the rest of the team for arranging this spectacular stay! So if you ever want a private getaway that would enable you to enjoy nature and pure serenity, consider booking a stay in Zambawood. Not only will you have the best experience of a lifetime but you will also be introduced to a lovely story that caused the birth of this special property. Enjoy! Would you want to stay in Zambawood? Why or why not? Or have you been here before? How was your experience? What do you like the most about this estate? The food looks Incredi-Wonders!!! :DI think I have #hungerlust now! The place looks stunning. It's a bit luxurious, and yet quite hip. Not to mention that it's surrounded by gorgeous nature! Excellent pick Aileen! What an amazing place to stay! And the food looks incredible! I cannot believe there's a paradise like this in Zambales! If ever I go back, I will visit this place. It really is! :) Hope you get to visit the Philippines soon! Don't stay in Manila if you're not into cities; I highly suggest going to other parts like Palawan, Bohol, etc. 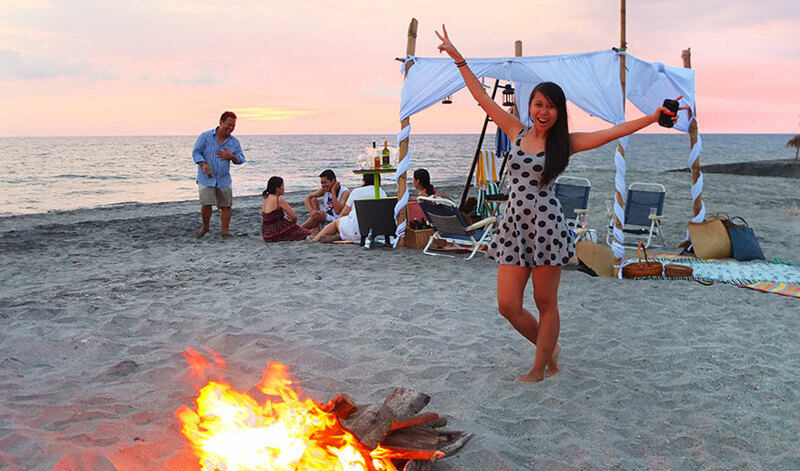 It's great to read the story of Julyan who could finally find peace in Zambales! Nature indeed can heal everything! Wow - what an amazing property and a lovely family story. This looks like a perfect balance of everything, really. The food alone is enough to get me there, but also reflects the hotel's general theme of "simple but high quality". I can see why this place has been featured in movies. Absolute luxury. Thanks for sharing.